#MakeWeCan, an enterprise inspired by the Maker movement which spread like wildfire across the US in the mid-2000s, this is something which is close to our hearts. Bombarded with consumerist profligacy, youngsters have become blind to the joys of making something with their own hands. In the world of smartphones, 3D printers, Macbooks et al, we as a community are losing our identity. And the brunt is borne by the younger generation. This is where we can take inspiration from the Maker Movement. The Maker Movement as stated above, started in the United States, a little more than a decade ago. Focused on promoting and harbouring the artisan spirit, the Maker culture places emphasis on learning through doing, set-up in a social environment. 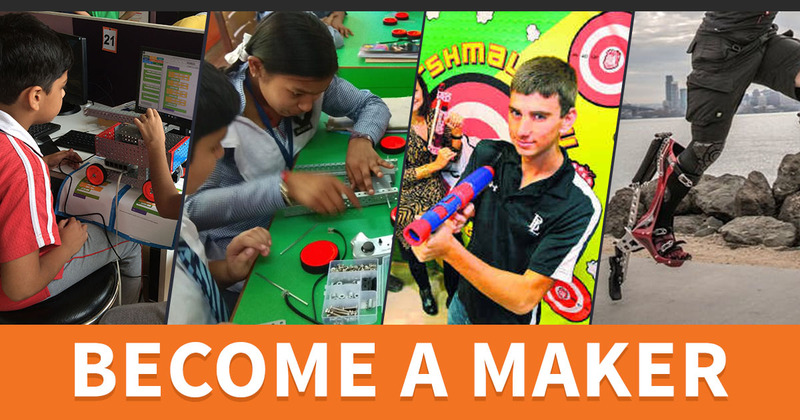 Maker enthusiasts are encouraged to build an informal, peer-led network based on shared learning driven by a feeling of fun and self-fulfilment. Also known as the Do It Yourself (DIY) movement, herein, millions of people come together to create (and sell) handmade products. A good example of such an endeavour is Etsy, an online marketplace where Makers can showcase their unique, handmade or vintage goods. The biggest contributions of the Maker Movement have been Makerspaces, space for Makers to come together and share ideas, and use tools and other materials for tinkering stuff; and MakerFaire, an annual gathering of Makers. 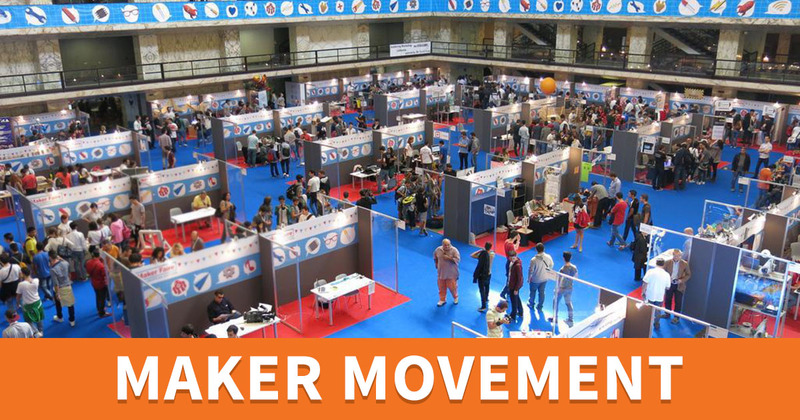 Makerspaces exploded suddenly and led to cropping up of thousands of these workshops across the globe while more than 180 MakerFaires were organised in places such as France, Italy, Turkey, Egpyt and China, attended by more than 1.2 million people. Pretty cool, huh? Taking this idea forward, we want to inspire and introduce the coming generation to the joy of making. Hence, our #MakeWeCan initiative. Our objective is to reach out to budding inventors, designers and tinkerers. We want to encourage and instil the innate desire for making things with their own hands amongst children. If a child is introduced to the art of making at a young age, when they’re most impressionable, it’ll help foster curiosity, tinkering, and iterative learning, within them. This, in turn, leads to critical thinking through better questioning. Students would also benefit from developing a keen interest in learning, gain confidence, and an affinity for natural collaboration. Ultimately, this would result in the development of determination, independent and creative problem solving and prepare them to tackle the real world by simulating real-world challenges. Through making, the young ones can learn and develop new skills like clay modelling, origami art, papier mache, hand block printing, etc. Through these activities, children can test their creative skills and learn new concepts and designs. By encouraging Maker learning, one can develop a growth mindset and a toleration for risk and failure among students. It can be argued that experiencing failure is a necessary step towards the road to success and innovation. #MakeWeCan is an enterprise geared towards nurturing our precocious children to become curious at heart and ask questions. Curiosity and inquisitiveness go hand in hand. We need to provide our children with the right tools so that they grow up to become skilled individuals, well-versed not only in education but capable of critical thinking and reasoning. So, you ask, why should you support #MakeWeCan? Support it if you want your child to grow up to become an inquisitive, imaginative and motivated person who is willing to take challenges head-on. #MakeWeCan is an opportunity for all those parents and children out there who don’t want to miss out on the happiness of making. It’s something which both the parents and children can do together and spend quality time with each other. Let’s all work together to support #MakeWeCan and make it a huge success!